Surprise! Get a timely “Thank you!” from Cameron Village when you do your holiday shopping this weekend… $25 CV gift certificate when you spend $150 to $250 or a $50 CV gift certificate when you spend more than $250, while supplies last. 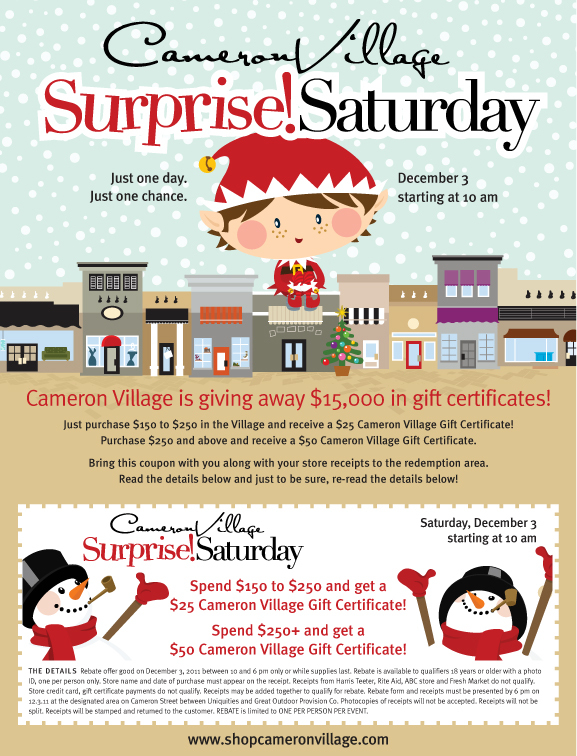 Click here to print the special offer above from Cameron Village to take with you on Saturday.